At the legendary port city of Mocha, Yemen became the birthplace of coffee cultivation and the first in the world to commercialize coffee production. Mocha Mill is a company built to place Yemeni coffee back at the forefront of the global coffee trade by empowering coffee farmers in Yemen with the knowledge and tools to bring positive changes in the quality of their coffees and lives. Our mission is to produce traceable, specialty grade Yemeni coffee at their origin by radically improving and streamlining the supply chain. To do this, we are working directly with farmers and cooperatives by establishing "Coffee Collection Centers" (CCC) and a state-of-the-art processing mill. The people of Yemen are at the center of our work. We are educating farmers on the best agricultural practices to improve the quality and production of their coffee trees. Yemen is a country facing one of the greatest water crisis on the planet. Sustainability is a guiding principle at the center of all our business practices. Characterize & Note: Melon Banana fragrance,sweet almond,creamy texture. We believe in Yemen and its people. Our goal is to work with Yemeni farmers to empower them to overcome market barriers, and to develop greater infrastructure for their farms. To do this we are working hands on with the farmers on teaching them best agricultural practices such as pruning, red cherry picking as well as building the first drying beds in Yemen. This will greatly improve the quality and production of their coffee trees. These programs will focus especially on women since they make up 75% of the coffee farmers in Yemen. Mocha Mill is committed to producing the highest quality specialty grade coffee in Yemen, while following principle practices that serve people and the planet. Mocha Mill is committed to be a reliable trading partner that will facilitate direct trade relationships between coffee farmers, importers, and roasters. We are constantly sourcing coffee from mountainous communities all throughout Yemen and investigating their flavor profiles in our lab in order to identify single source, specialty grade coffee lots from these communities to coffee drinkers all over the world. Passion for coffee has pushed Adnan to invest in supporting the infrastructure to help the Yemeni coffee growers. Boot Coffee Consulting is a boutique consulting business in the international coffee industry. Boot Coffee operates internationally with coffee producing organizations in countries like Ethiopia, Panama, Brazil, Peru, Colombia and El Salvador and within North America with coffee roasting companies. Founded by Willem Boot, the Boot Coffee team brings decades of experience to Mocha Mill to help build the specialty coffee trade in Yemen. Ali started his coffee journey with the international coffee trainer and consultant Phd. Manuel Diaz. Through Diaz, Ali became a coffee project officer with Small and Micro Enterprise Promotion Service (SMEPS) in two main coffee areas in Yemen: Bura Mountain and Taiz where the first women's coffee association was established. Under the supervision of Diaz, he has obtained the best agriculture practices in coffee. 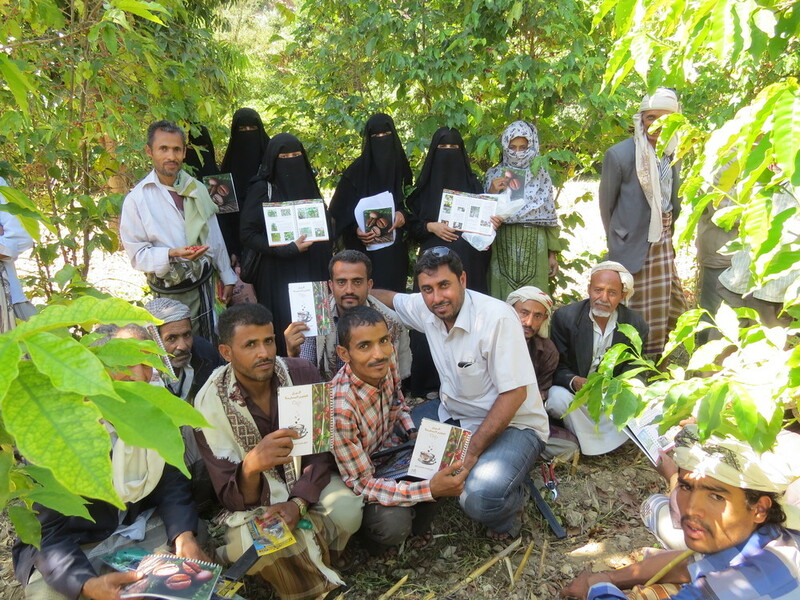 He later began training farmers in Yemen with the Coffee Quality Institute (CQI) in coordination with USAID under the CASH project. It is with passion and effort that Ali is continuing his pursuit to empower the Yemeni coffee grower and to bring back its rich history.